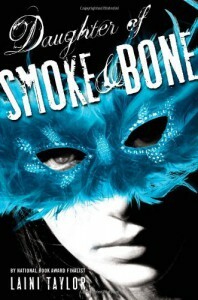 Just realized that I completely forgot to rate/review Daughter of smoke and bone when I read it months ago! Oh well. It was an experience reading this book. A very, very, very excellent experience. One of the best YA books I'd read in a long while. It's like one of those books that you can read and reread and never get tired of reading it again.